Hello Mt. Pleasant.........we went over to visit our daughter and her family this past week. It was our first time to visit them since they moved from "the far country." ~smile~ They have a house and about 6 acres and Clancy is in "hog heaven." He can fish, ride his bike, shoot his BB gun and romp with the dogs. It's a little boys paradise. Just in case you haven't heard me say it before, we are so thrilled to have them so close!!!! Hello K and K's...........meet the Crook gals. This is (l to r) Margarite, Kathy and Kristy and they make up the staff at one of the most fun shops I have ever been too. 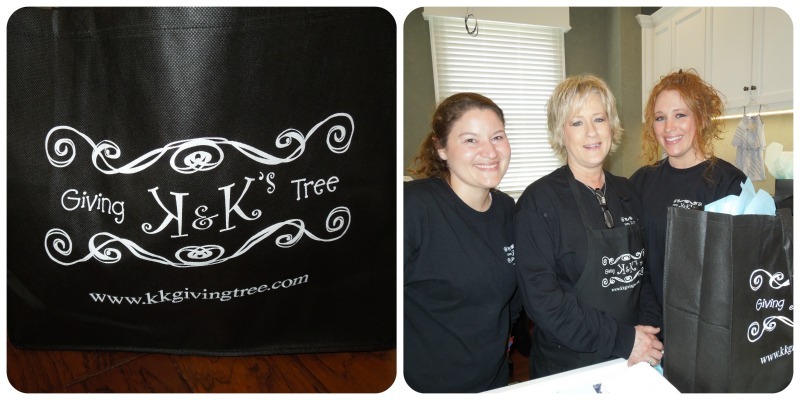 K and K's was the "brain child" of Kristy and is she ever passionate about the business. I have known Kristy and her Mom for many years and Kristy went to school with my kids. It's such fun to see kids all grown up and doing what they love and being successful. I'm thrilled for her! My friend Gerri and I went over July 4th to check it out and we ended up staying for 2 1/2 hours. We had so much fun looking at everything and visiting with them. And, they served up some delicious snacks and we enjoyed those too. I don't know that I've ever been to a shop that has such a diversity of items. 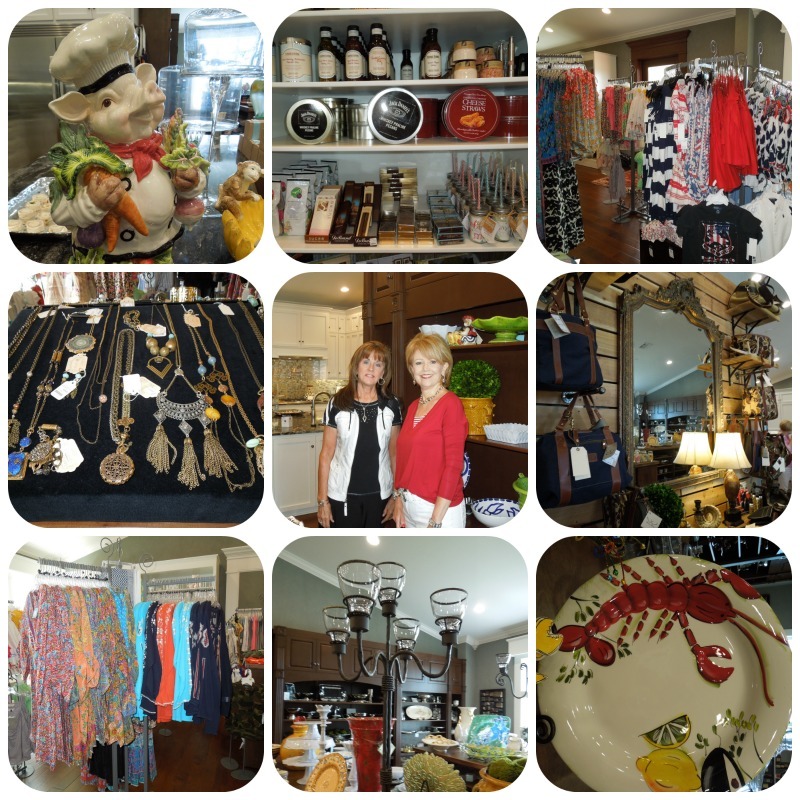 They have children's and women's apparel, jewelry, candles, kitchen items and home decor out the "wazoo." And, it didn't hurt that the clothing items were 40-50% off and everything else was 20% off. The shop has such flair and I'll definitely be going back shortly. Added note for locals - this shop is located on the Oak Ridge Highway, halfway between Mer Rouge and Oak Ridge, and is open 6 days a week from 10:00AM - 5:00 PM. If you haven't been over you need to definitely go check it out!!! Hello cute, cute little girl clothes.........these are some of the items I walked away with from K and K's for my little Princess. I don't know that I've ever seen a better selection of children's clothes and as I said, to get them 40-50% off is just "icing on the cake." I get plum giddy thinking about her in that blue jean vest. I mean really, is it not the cutest!!! Hello new house progress.......well, it may not look like it, but a lot of progress was made last week and it was only a 4 day work week for the guys. The preliminary plumbing was put in and once the preliminary electrical "stuff" is done then they will pour the regular foundation and that may be before the end of the week. And, they poured the garage and shop foundations. So, we are moving right along. 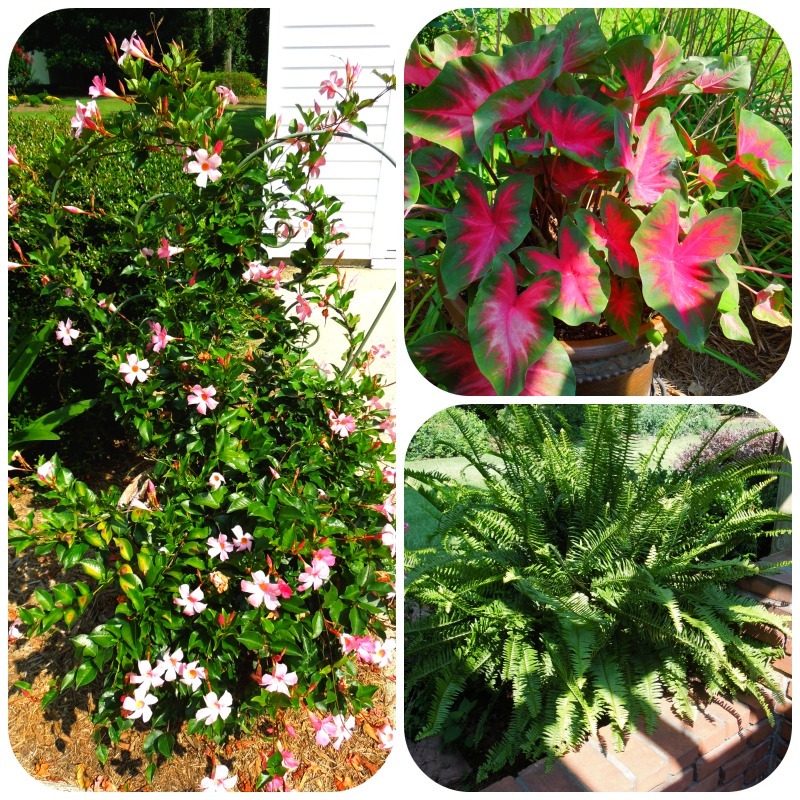 Hello beautiful patio plants..........our patio plants have thrived this summer! Our Mandavilla's (left hand pic) are just blooming their little heads off and the Caladiums are happy, happy and the ferns are about to burst out of their pots. Of course, they pretty much require daily watering and thus far the weather has not been terribly hot. But, it's just the first of July, so I'm sure the heat will zap them in the weeks to come, but for now, we're sure enjoying them. It sounds like a fun week! Love your photos. 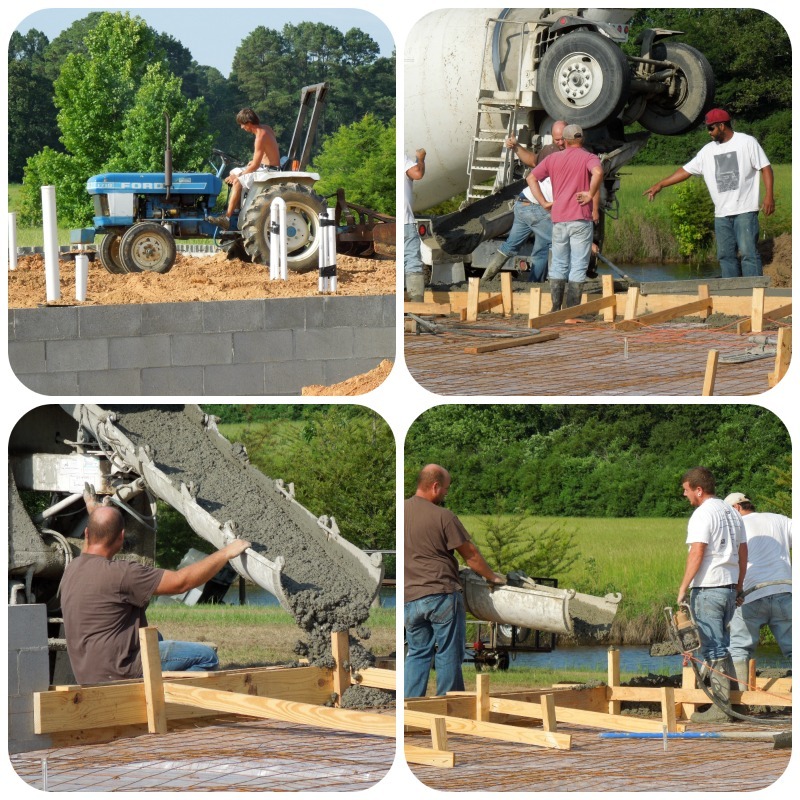 And how exciting to see the foundation of your new home. 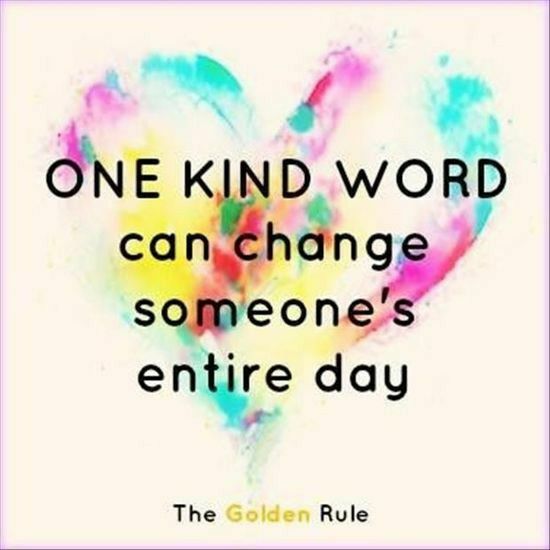 I love the Golden Rule image. Have a great week! Hi Cici!! Looks like your family is enjoying being close by. Such great pictures!! Too bad I live so far away. I esp. like the pig, guessing it's a cookie jar. Yes it does sound like a little boys haven! How wonderful for them. 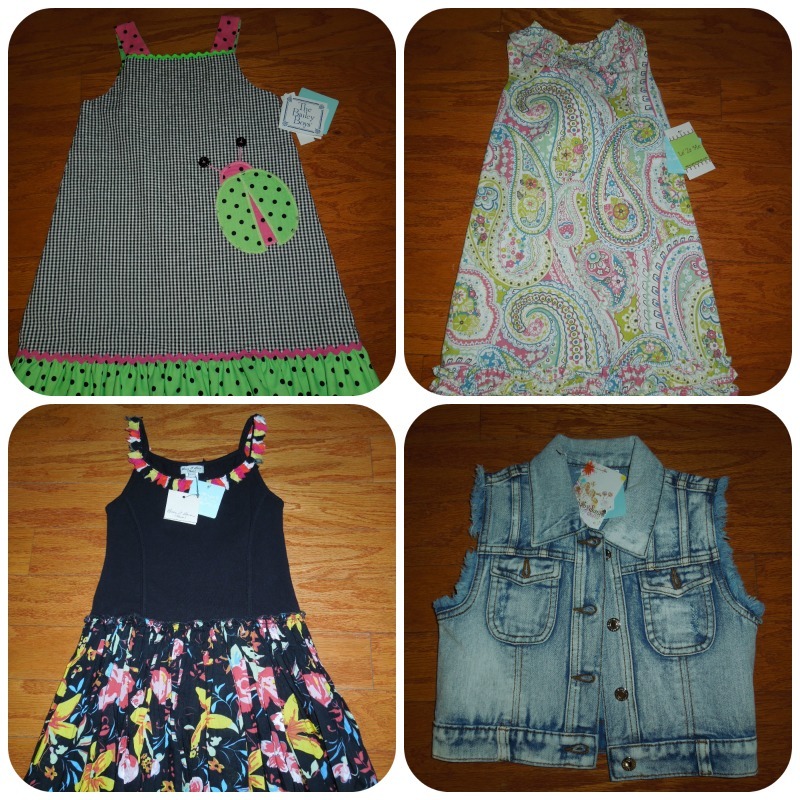 And yes those little dresses are darling (don't you just love shopping for grands?) but that jacket would have had me too. More progress on the house...soo exciting! Plants look great! Enjoy your week! Well that little boy isn't staying little and with all that good country air and fun, he will continue to thrive. What a cute shop and right there by you to boot. Yes, I can just imagine that cute denim vest on that adorable little girl of yours. I can only imagine how exciting it is to see so much progress so quickly on the new house. You must plan an Open House when we can be there. Beautiful shop! I wish Kristy well! Cement getting poured -- how exciting!! Things really move along once they start the framing! Loved your quote at the end of your post. I'm putting it on FB with a link to your blog. Oh this new house progress is just what I have been waiting for! Can't wait to see it. I wish I had been blogging when we built, for ideas and to monitor progress! Have a great week! Hi Cici! What a great shop! I could spend hours in there. I'm looking forward to following the progress on your new house! Have a wonderful week! I love following a house as it progresses and can't wait to watch yours. Great quote!! 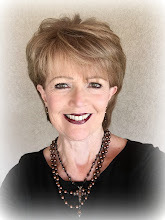 Hi CiCi, what a joy to catch-up on your blog, I apologize for my absence from blogging, summer seems to keep me so busy with not much time for blogging, as well as family visiting. 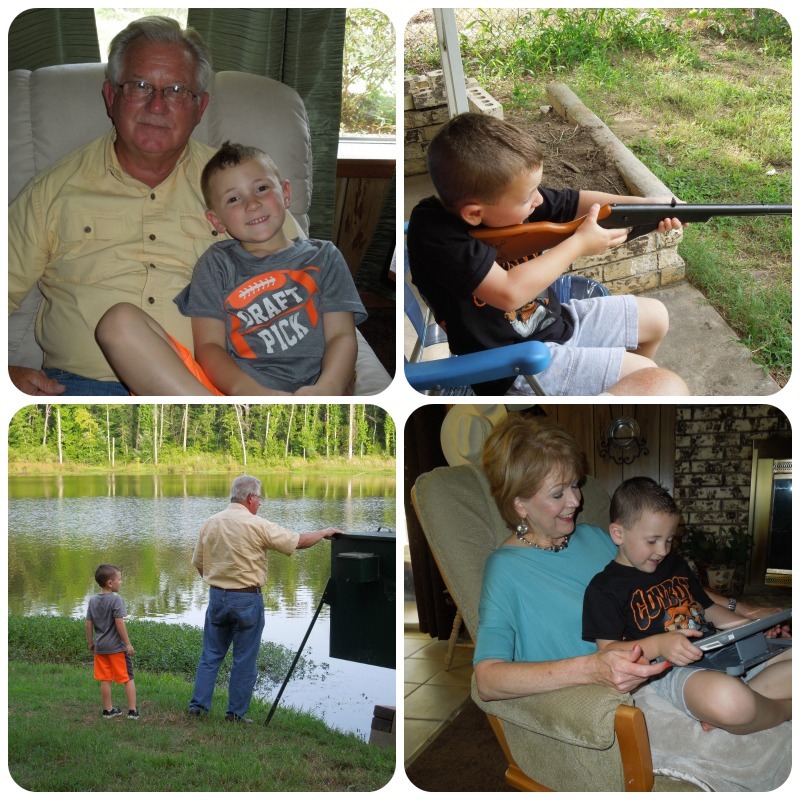 I love to see children both big and small enjoy summer, time with grandchildren is most special, our Navy grandson visited this past weekend he had such a great time he just didn't want to leave, needless to say we did too and also didn't want him to leave. I love shops like K&k's and also can spend hours looking for treasures, they seem to have the most unique items. You made great choices. I will comment on your post of your daily life, this was a joy to read, you are an inspiration, thanks for sharing. Your mandavillas are beautiful! How exciting to see and hear that things are coming right along on your house!